The iPhone, iPad, and iPod backups made with iTunes can take up a lot of local disk space on a computer. If you’ve moved the iPhone or iPad to sync with a new computer, sold an iOS device, or just want to potentially free up some disk space, you can easily delete these backups directly from iTunes. Of course, by removing a local backup you’ll lose the ability to restore from that specific backup, so you’ll want to be selective in what you remove. With this method, you’ll see what devices are backed up to iTunes on a Mac or Windows PC, and then you can choose which one(s) you would like to delete from the computer. 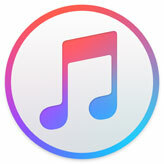 When finished, you can exit out of iTunes, or stay in iTunes and start a new fresh backup of a connected iPhone or iPad, the latter of which is recommended. 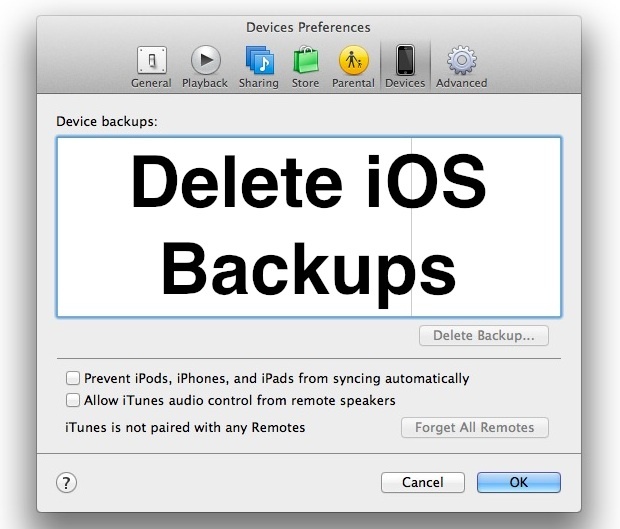 This only removes the backups that are stored locally on the computer and it will not impact iCloud backups, which won’t even show up in the list. It’s generally a good idea to leave the most recent backup intact, in the event you need to restore and don’t have fast internet access, a local iTunes backup is quick and easily to perform through the restore function. Keep in mind that if you are not using iCloud for backups, iTunes local backups are the only other way to back up important data from an iOS device. Thus, don’t remove a backup if you don’t have another one available. Again, we will reiterate the importance of this; only remove backups like this if you have a recent backup available somewhere, or you plan on making another backup immediately within iTunes. 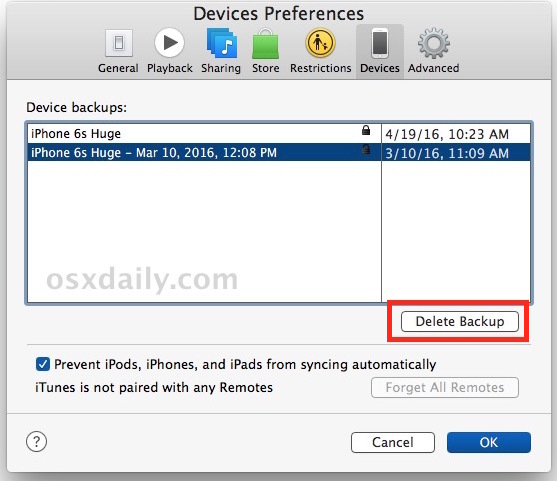 You can also make a quick manual iCloud backup directly on the iOS device itself or sync it with iTunes again, but don’t leave your iPhone or iPad without a backup. Thank you! Just yesterday I was searching without result on how to do this. they are all still there taking up space. Awesome tip! always wanted to do this! Jus got rid over over 6GB of old backups!